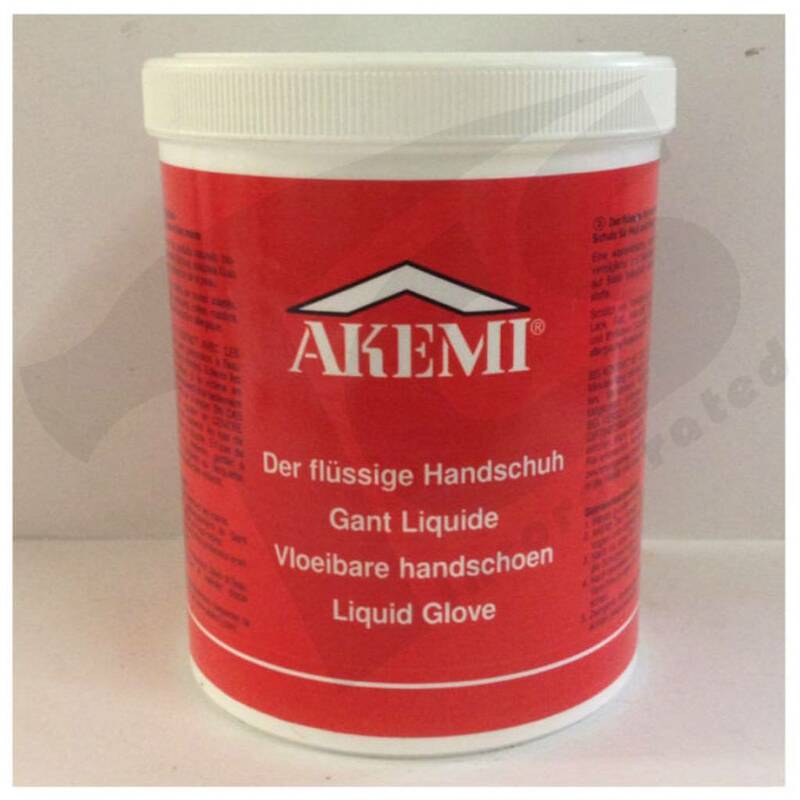 AKEMI hand ointment Liquid Glove is an aqueous paste made of anionic and non-ionic surfactants, colloid silicic acid, condensed phosphates, fragrances and preserving agents. 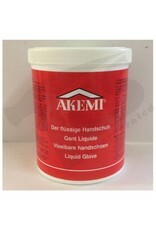 Liquid Glove is a skin protection against severe contamination, e.g. lacquer, grease, oil, adhesive agents and pigments. Also applicable in body shops; silicone-free. The product is especially compatible with skin due to use of natural raw materials. Even after repeated daily use, hands do not become sore. Our experience so far shows that the product is compaible also in case of small cuts or scratches of the skin. The product does not contain silicone oils which are considered as being carcinogenic according to the latest knowledge of science. The surfactants contained are biodegradable up to 90%. No problems occur in case Liquid Glove enters sewage plants. Environmentally friendly.